Music Legend Neil Young apparently owns an RCA Theremin that will be auctioned off on December 9th as part of a large collection of his items. According to Mike Buffington from RCATheremin.com, this is serial number 200076 and is a Westinghouse cabinet. This unit also comes with an original RCA Model 106 speaker, original manual, and a VHS copy of Mastering the Theremin. The condition of the theremin is not listed. It is estimated that only 500 original RCA Theremins were produced in the late 1920's. Of those, we believe roughly half are still in existence today. The starting bid is $15,000. More details are available at LiveAuctioneers.com. Big thanks to Mike for the tip! 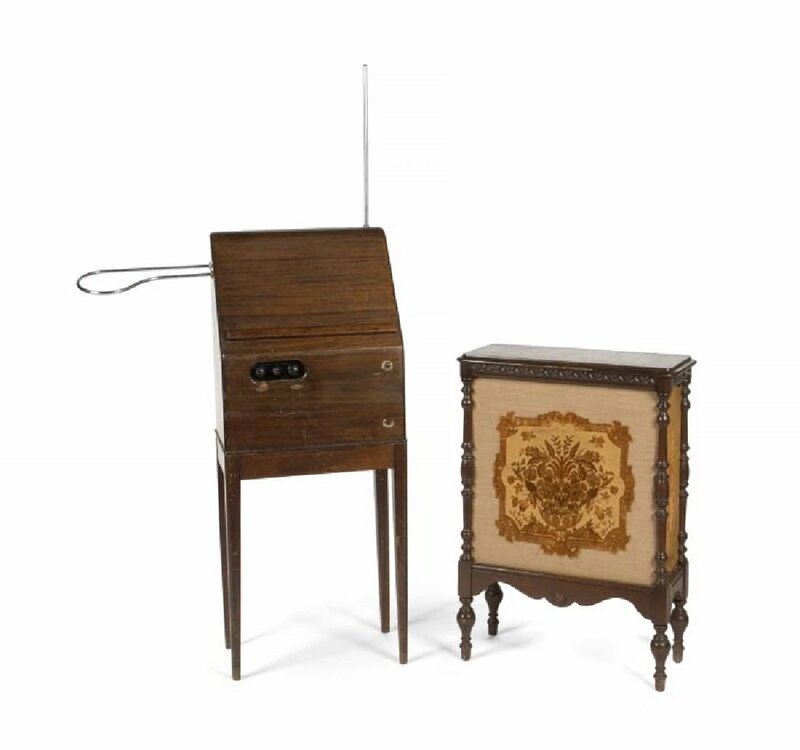 Update: The final sale price for this theremin was $27,500 according to the auction page.